Singapore is one of the most expensive places to visit in Asia, yet the best country when it comes to tourist destination and transportation. If you are doing a D-I-Y trip just like me, below are my itinerary and a detailed information of my trip that you can follow. The cheapest way to travel around Singapore is through riding an MRT/LRT or BUS. However, you need to wait a little longer if you’re on a midnight flight. MRT’s usually start operating at around 5:30 AM on Mondays to Saturdays and ends at 11:00 PM. On Sundays and Public Holidays, train operations usually start 20–30 minutes later. Same thing applies for buses. Technically, you are perfectly permitted to stay at the transit area upon your arrival. Incase the security officer patrolling the transit area questioned you, just explain what your intention is. Changi Airport also offers several airside transit hotels at Terminal 1, 2 and 3. Rates would be SGD 50 to SGD 160 depending on the room that you will avail for a 6-hours stay. You also need to pay an additional SGD 20 if you exceed for another hour. If you find this expensive, there are sofa chairs everywhere that you can sleep on anyway. You can also stay at any coffee shops or restaurants that are open within that time. Train station is located at Changi Airport Terminal 1. If your aircraft is bound to terminal 4, you need to ride a free airport shuttle going there. Upon arriving at terminal 1, follow the direction that will lead you to the MRT. There are 5 lanes that you need to be familliar with— East West Line, North South Line, North East Line, Circle Line and Downtown Line. The map looks complicated at first sight, when in reality it’s not. Each station is only 5 minutes away from each other. Going from one place to another is really easy if you know how to follow directions very well! 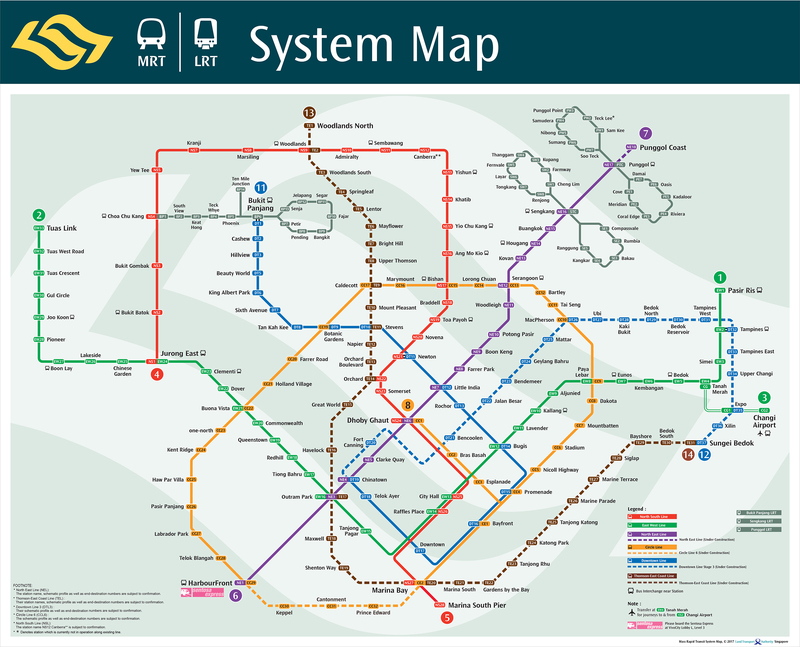 Click here for the MRT System Map. If you plan on buying a tourist pass, operating hour at Changi Airport is from 8:30 AM. There is no other option but to buy from the manual machine first. You need to click fast or the machine will eat your money. It happen to us once, glad my dad was able to get the receipt. I asked the lady in the customer service and she refunded our money. Click here for the MRT Terminal operating hours. Click here for the MRT fare. The Singapore Tourist pass is also applicable for bus and LRT. It offers tourist UNLIMITED travel on any destination that is on the map. Some prefer not to buy a tourist pass which sums up on their account little by little and they realized after it was already to late. Price of the tourist pass will depend on how long you will stay in Singapore. You also need to pay an additional SGD 10, but you can refund it later at any MRT station. 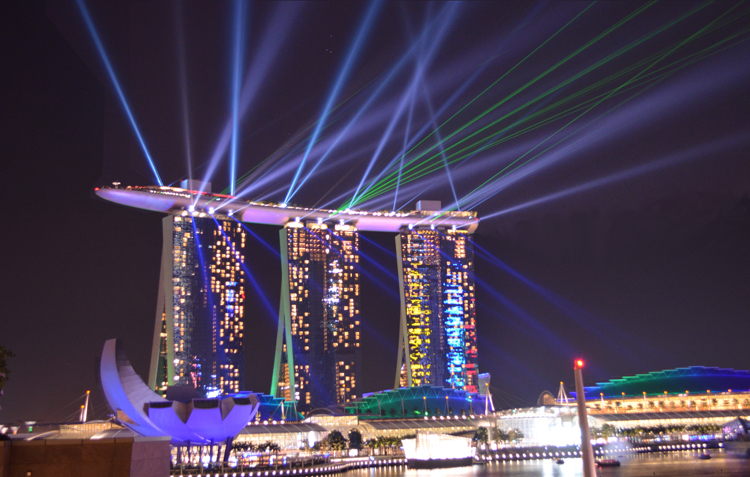 There are a lot of tourist destination that you can visit when you’re in Singapore. To make it easy for the first timers who are also doing a DIY trip, here’s what you need to familiarize yourself with— Marina Bay, Sentosa Island and going around the city. Below are the information that could help you for your 3-days and 2-nights stay. Choose which one do you think would best fit your interest! Marina Bay is the city centre of Singapore. There are a lot of attractions located in this area, but most of it requires an entrance fee. Get yourself ready because walking from one attraction to another would require you to do 1000 steps per minute. Nope, not kidding at all! 2. Helix Bridge Helix Bridge is also known as Double Helix Curved Bridge, a pedestrian bridge linking Marina Bay Area. It is about 280 metre long and its unique design led to being another landmark in Singapore. 3. Marina Bay Sands Wonder Full Light and Water Show The special feature of this show is that you can watch from anywhere in the Marina Bay area, completely free and if you miss it, you can watch it on the next night. You’ll be immersed in a beautiful symphony of music, water and light that’s powered by advanced lasers, fountain jets and visual projectors. 5. Skypark Observation Deck If you find Marina Bay Sands expensive, Skypark Observation Deck is an alternative way to enjoy a 360-view of Singapore by the bay. 6. Singapore Flyer Another attraction that would give you a panorimic view of Singapore is by riding in one of the Singapore Flyer’s Cabin. 7. Esplanade Situated on the edge of Marina Bay, is a durian-like struture that includes a concert hall and an outdoor performance area inside. If you are looking for live performances and the local culture shown through art, this is the place you have to visit. 8. Art Science Museum Like a lotus flower on the edge of Marina Bay, you will find more than 20 displays inside spread over an area of nearly 5000 square meters. Who would have thought a combination of art and science will create something so beautiful? 9. 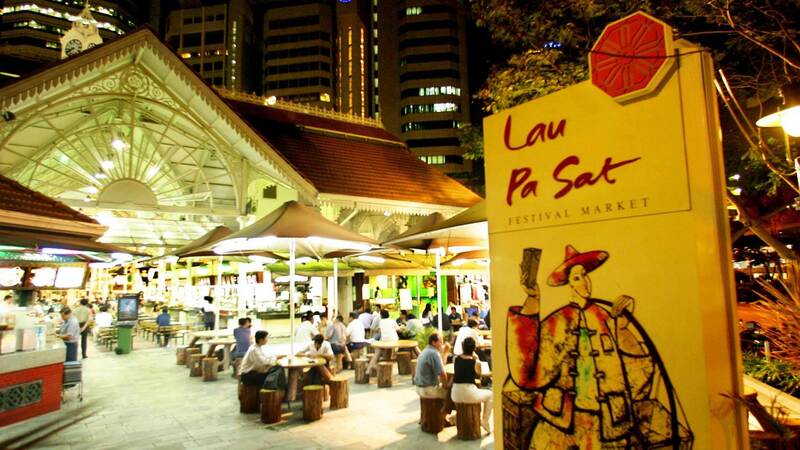 Lau Pa Sat After a very tiring day exploring Marina Bay, Lau Pa Sat is a food center which you can get basically eat everything you could possibly want. Better try their satay, but it only opens at night time, usually start around 7 pm. 10. Gardens by the Bay Flower Dome, Cloud Forest, OCBC Skyway and the Supertree- are the four iconic structures at Gardens by the Bay that you need to know. Might as well visit the Garden at 5PM so you could take the day shots, following the display of lights and sounds at night. Note: If you are on a budget, better spend your money on other attractions at Singapore than to avail the three other conservatories at Gardens by the Bay. Supertree is enough to satisfy your travel desires! Sentosa is a popular island resort in Singapore that has a total of 33 attractions inside. A minimum of 2 days is needed to be able to visit the entire island. I suggest to go straight to Resort World Sentosa if you’re only bound for a daytour. From there you can find the key attractions that includes Universal Studios theme park, Adventure Cove Water Park and the world’slargest oceanarium, which is good for the whole day already. 1. Cable Car Aside from the Skypark Observation Deck and Singapore flyer, the colorful cable cars located in Sentosa Island also offers a bird’s eye view of the world-class Singapore infrastructure, the picturesque beaches and harbor as well as renowned Singapore attractions and theme parks. 2. Universal Studios With thrilling rides, entertaining shows and thematic dining, it is a fun day out for both young and old. Whether you’re a theme park fanatic or not, you’ll definitely fall in love with Singapore’s favourite theme park – Universal Studios Singapore! 3. S. E. A Aquarium Being the largest aquarium in Southeast Asia, S.E.A. Aquarium promises to offer you exciting moments when exploring the seafloor. Get ready to admire and be amazed by more than over 800 different species and 20,000 colorful corals in the Aquarium! Note: These are only the three activities that we tried and it’s good for one whole day already. Click here if you want to see other choices. TOP 5 SHOPPING AREA IN SINGAPORE 1. 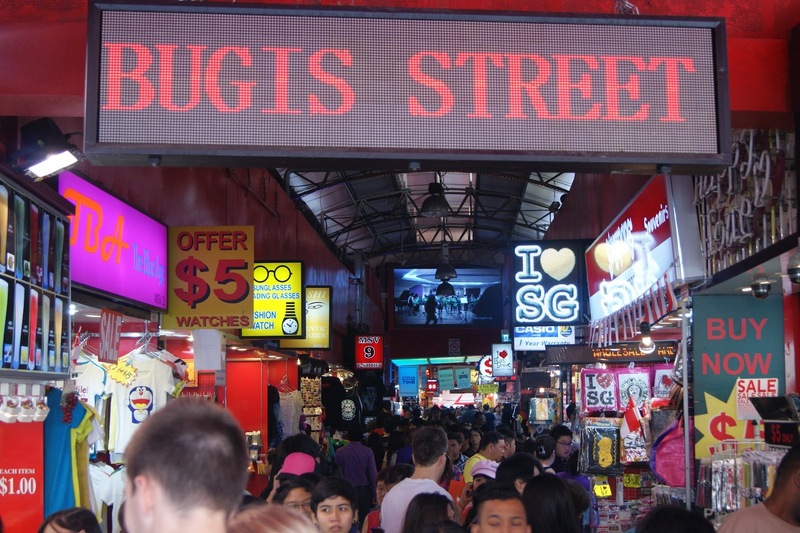 Bugis Bugis Street is a large three-story building complex with thousands of small individual shops packed tightly within narrow corridors. You could consider it a sort of modern air-conditioned bazaar selling affordable clothes, accessories and souvenirs. 2. Arab Street Four famous destination that you can find in Arab street- Hajjah Fatimah Mosque, Kuan Yin Thong Hood Cho Temple, Chijmes & Haji Lane. 3. Chinatown Six famous destination that you can find in Chinatown- Chinatown Heritage Centre, Baba house, Thian Hock King Temple, Sri Mariamman Temple, Buddha Tooth Relic Temple & Chinatown Street Market. 4. 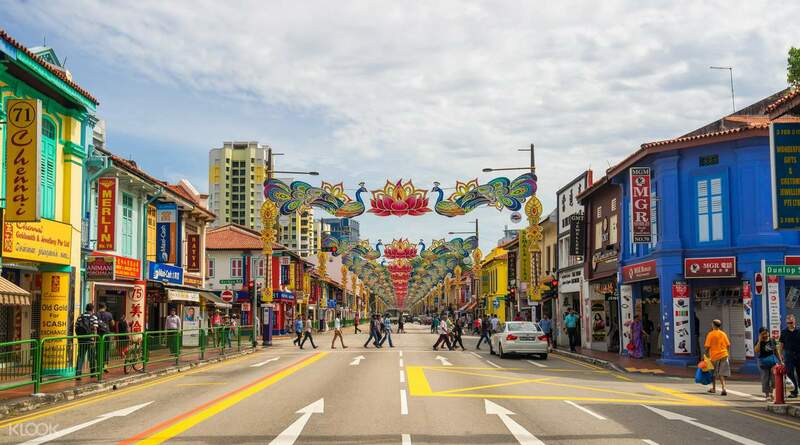 Little India Three famous destination that you can find in Little India- Sri Veeramakaliamman Temple, Sri Srinivasa Perumal Temple & House of Tan Teng Niah. 5. 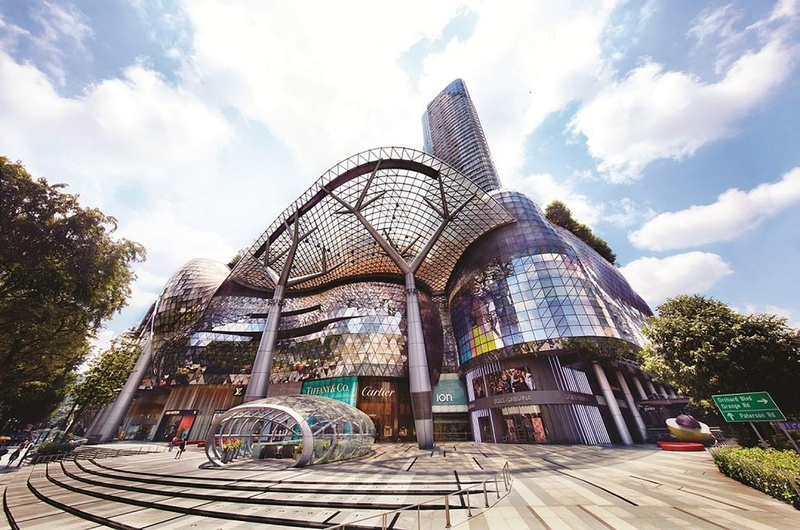 Orchard Orchard Road is also known as the premiere shopping destination in Singapore. If you hold an acquired taste for luxurious, high-end fashion, you’ll definitely feel right at home here! 2. Singapore Zoo Get the best views of over 2,800 animals and 300 species from elevated platforms, underwater galleries and glass observatories! 3. 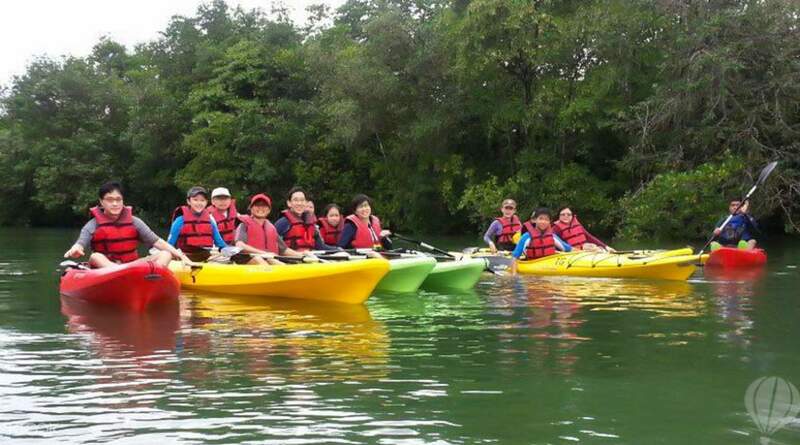 Nature Kayaking If you want to do something unique in Singapore, you can go through the still waters of Palau Ubin. The area is a beautiful corner of Singaporean wilderness that’s rarely seen due to its relatively inaccessibility, thus making this a truly one-of-a-kind experience for the curious and adventurous. Disclaimer: Some pictures are not mine. Click the picture to redirect to the actual owner. All the information that I posted above are the travel guide and ideas that you can follow whether you are travelling on a midnight flight or not. Feel free to get some ideas here while you work on your itinerary. We spent a lot of money on things we shouldn’t have and we weren’t able to visit everything. My goal is to share my experience, to be able to educate the other travelers. Travelling on a D-I-Y basis isn’t really easy, yet a feeling of satisfaction comes after you gain knowledge from the entire trip. Hence, our 3 days & 2 nights stay in Singapore didn’t turned out good as what I expected it to be. Half of our time were spent fighting and figuring out which way to go. Even though transportation is very accessible, following the directions is harder just what I thought.